Scalable and sustainable, an all-solar catamaran may change the future of water shuttles. 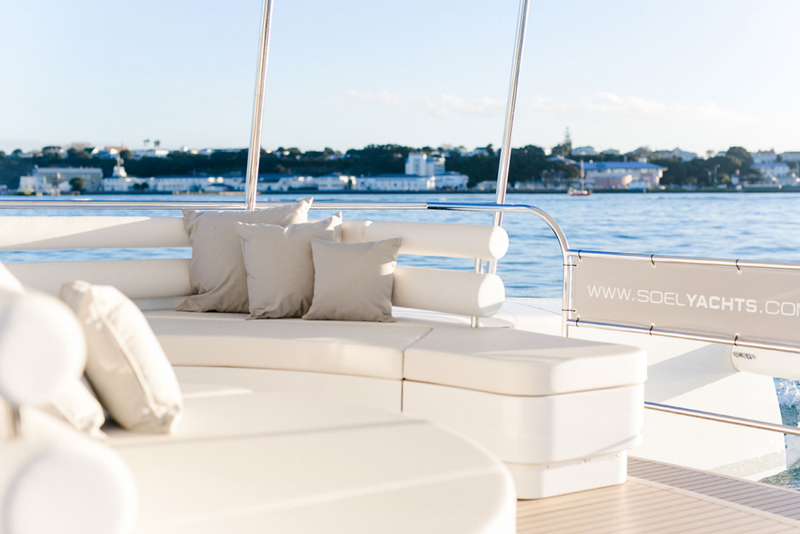 Soel Yachts, a Dutch company, is known for building solar and hybrid vessels. So it’s no surprise that they just launched a fully customizable answer to the marine shuttle. 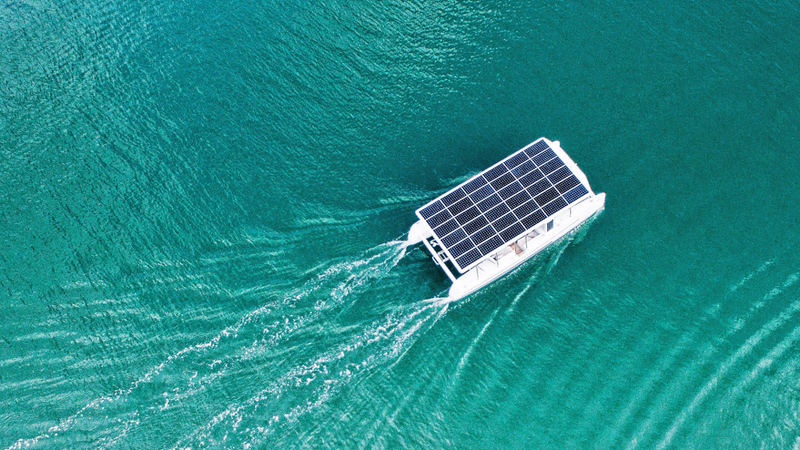 The Soel Cat 12 looks like a pontoon boat with a roof made of solar panels—but there’s much more to it than that. Proven in saltwater operations, the Soel Cat 12 is built in New Zealand and can carry 16 passengers. The boat is constructed GRP with a fine finish. The target markets are resorts and areas with waterways as main corridors that need water taxis and shuttles. Think: the canals of Venice, or on-the-water properties in the South Pacific that shuttle their passengers to nearby island attractions. That means the Soel Cat 12 will find a home anywhere that fuel is expensive or hard to come by, and anywhere emissions and noise need to be minimized. Boarding is via the transoms or side gates to both port and starboard. A swim ladder is attached to the middle of the aft traverse and a trampoline connects the bows. Soft indirect lighting shines down on cream-colored faux leather upholstery for an inviting effect. Stowage capacity below the seats (for PFDs or other necessities) is impressive. Hull number one is decked-out with plush seating on the perimeter and barstools around a centerline U-shaped countertop/bar that’s just aft of the helm (Another semi-circle lounge is just aft of that). 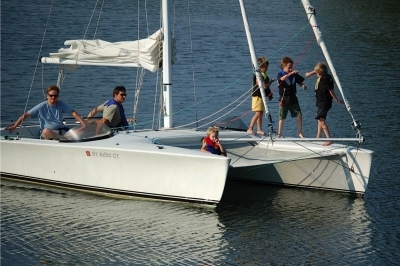 The boat’s first iteration is just one application of the platform. 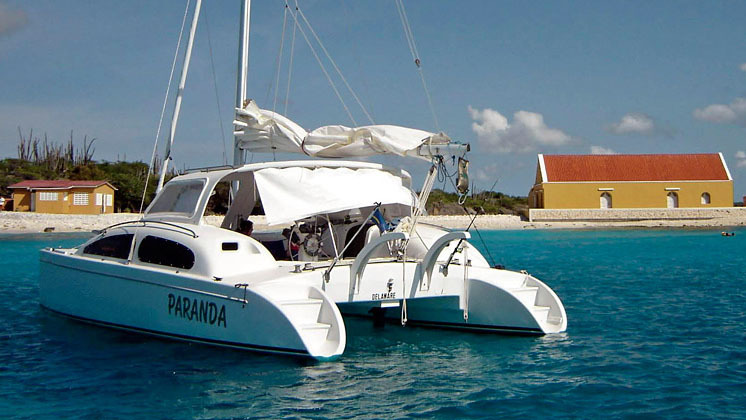 The Soel Cat 12 could be reconfigured as a dive boat or a privately owned party barge and it would be equally at home in most ecotourism applications. Additionally, the platform is scalable so a larger version could become a 40-passenger electric ferry in places like the Maldives or Hong Kong. The helm seat is on the centerline behind a very clean and simple dash that holds the engine throttles, the wheel, a VHF mic and twin flush-mounted displays by Naval DC, Soel’s partner in the venture. The Naval displays show GPS data and monitors energy storage and consumption so the driver is aware of speed, battery usage and remaining range. For fleet operators, this system can also be monitored remotely. Guests can connect their iOS devices (phones or tablets) to the onboard sound system via onboard WiFi and can choose their tunes from the vessel’s library. Topped by a solar array of 8.6 kWp, the Soel Cat 12 is powered by twin 30 kW electric motors. 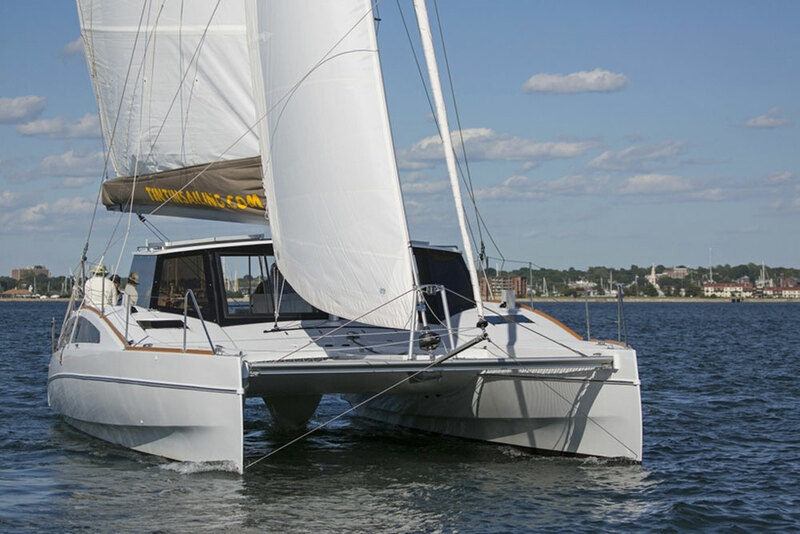 With a battery capacity of 120 kWh, The SoelCat 12 can cruise at eight knots for six hours solely on stored power. 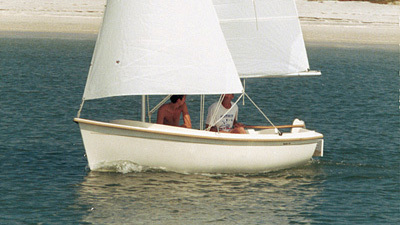 In sunshine, the cruising range is extended to 7.5 hours at eight knots. At six knots, the range goes to 24 hours (and 150 nautical miles) so the boat can run even at night when no energy is being produced or stored. The maximum speed is 14 knots. Now here’s a twist: When not in use, the vessel can become a mobile power station to supply 15 kVA to a land-based grid. That translates to powering roughly five very basic households in remote areas. So by being a virtual power station, it can help supply eco-destinations with clean and renewable energy. Truly designed to go anywhere, the Soel Cat 12 can be disassembled and economically shipped to remote locations in two 40-foot containers. No special lamination capabilities or tools are needed for re-assembly once on location. The Soel Cat 12 is most likely headed for commercial applications where leaving a clean wake is of the utmost importance. But truth be told, I wouldn’t mind having one of these at the backyard dock. It’s a nicely executed entertainment platform and one that I’d never have to take to the fuel dock. Other Choices: It’s not often we say this, but there are no other choices that are really comparable. 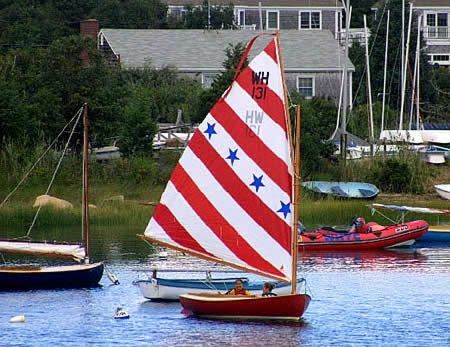 For more information on boats that utilize solar power, read Solar Power for Boats. For more information, visit Soel.